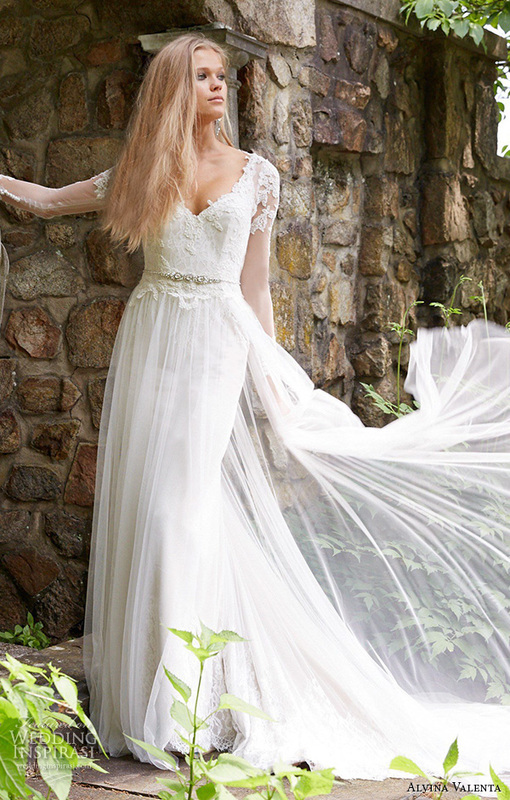 For the Fall 2015 Alvina Valenta collection, designer Jessica Williams was inspired by the energies of celestial bodies in outer space (including Jupiter, Pluto and our very own moon) and luminaries on earth: royalty, celebrity and the women who light up our lives. This ethereal collection features graceful silhouettes in dotted tulle, silk-faced duchess, French Alencon lace and corded lace, adorned with jewels, both delicate and striking. 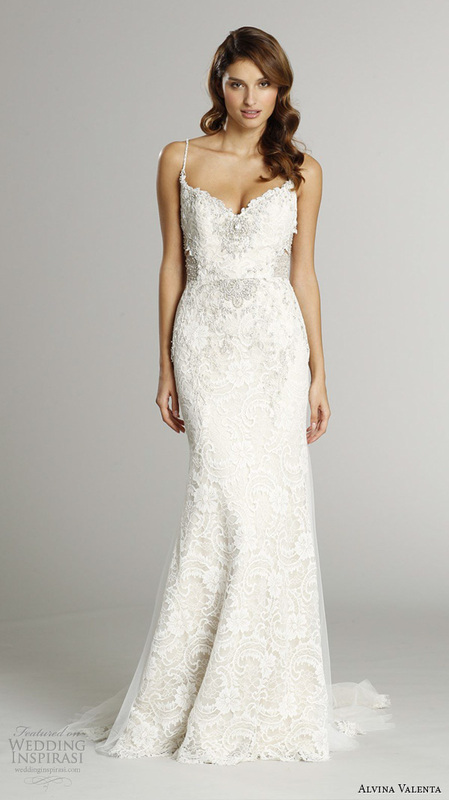 From the glamorous gold lace dress with a jeweled accessory evocative of the Sun to the romantic ball gown inspired by Venus, this collection is divinely beautiful! 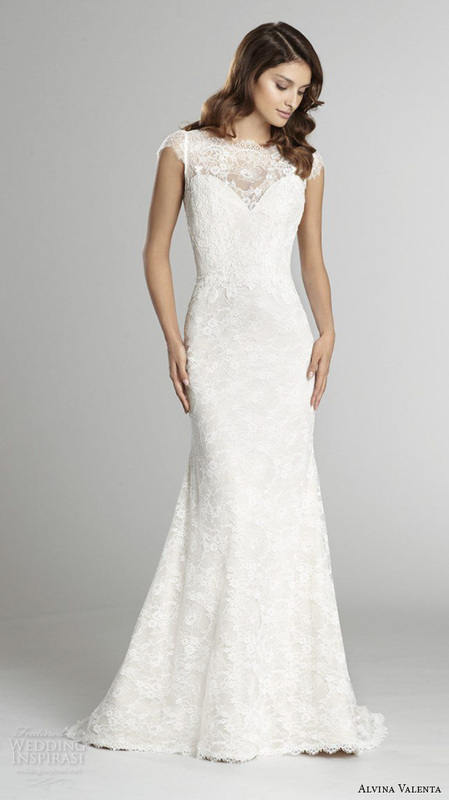 Photos: Alvina Valenta. 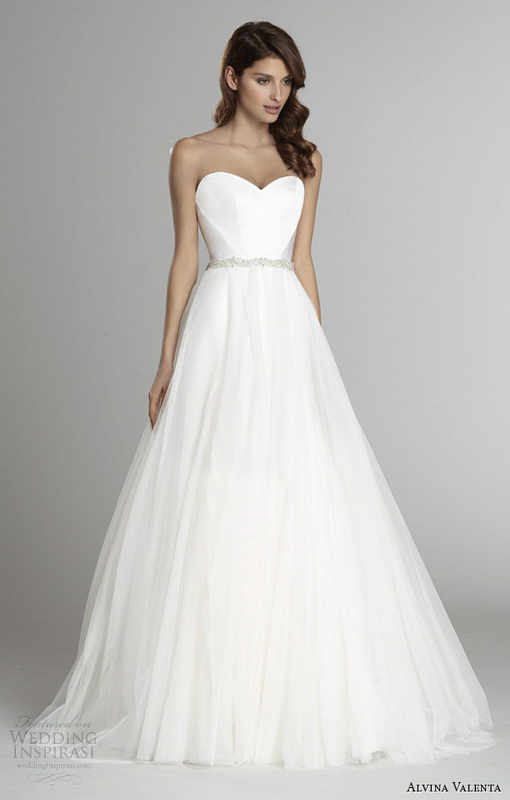 For details, visit Alvina Valenta.